After a delay of 1hr5mins we boarded the plane. A smooth flight and landing. Taken to sort out equipment and onto the hotel which is in centre of town. Settled into rooms and then sat down to a three course meal which everyone ate because it was so delicious. A swift walk around the beautiful town and now girls are in bed!!! What a day! Early start with 6.45am call for 7.30am breakfast, everybody had a good appetite and ate well. Bags were packed and ski gear layered on before heading off to pick up skis and boots. Took the gondola to the top of Pila, lots of fresh and powdered snow and four instructors to greet our group of 12 students. Two ability groups were formed of which Kia was put in the more able group. The rest of Alfriston were in the beginners group, where massive progress was made, starting the day on one ski and finishing the day performing stem turns coming down the mountain. What an impressive day-Maisie performing stem turns with good control; we were so impressed. Jade-responded well to all instructions and very was determined to master all techniques, made massive progress to confidently turn. Rosie-Ann-keen to work with her friends but had a fall, through which she lost confidence but by the afternoon she had learnt to control her skis with stem turns-she’s now back on form! Beatrice-started off very tentative so much so that she couldn’t put her skis on to being able to use the magic carpet lift and perform a gentle stem turn. Aisha-picked up where she left off with her performances at Hemel, moving with great confidence down the mountain demonstrating brilliant turns over longer distances. Kia-has proven to be the most confident skier across both schools and is was credit to Kia that she effortlessly slotted into her group being the only Alfriston representative. We wish you were here to see the amazing progress all girls have made on their very first day. After skiing we walked onto the Pila fun park area where we had a great time shooting the slopes in rubber doughnuts. Even though they all appeared exhausted at the end of the ski session, surprisingly they, endlessly come down on the doughnuts. Back for a shower and dinner before an amble around the historic town of Pila. Looking at the cathedral and a tree that had been struck down by lightning in 1951. Arbour Vale and Alfriston are continuing to mix and work well together. All girls tucked up in bed and we are also heading there too. Today has been a very productive day all round, with massive progress made up in the mountains. The morning was spent consolidating yesterday achievements and gaining confidence over longer distances along with more greater independence. As the day progressed Aisha joined Kia and the guys from Arbour Vale further up the mountain and everybody else from Alfriston had an amazing afternoon independently completing numerous runs over a greater distance, which included a steeper slope and have all demonstrated the required techniques to take the cable car further up the mountain-all were extremely pleased with their individual achievements today!!! The success on the slopes was followed with a trip to an ice-cream parlour, where the choice of flavours left many pondering for a good few minutes! We have just enjoyed a walk around Pila following our dinner before settling down for the night before embarking on what promises to be another ‘epic’ adventure tomorrow. We can once again report that massive progress is continuing to be made up in the mountains. It was really good today to have both groups skiing further up the mountain. This included the vastly improving group (we are no longer beginners!!!!) taking a chair lift and cable car for the first time in order to progress further up the mountain and explore a number of longer runs across Pila. By taking the chair lift further up both groups were also able to meet and share a whole group ski down with Kia and the pupils from Arbour Vale leading the way. It was good to see Kia confidently leading her group out behind the instructor and forming the start of the trail down. Everybody has completed a blue run today, which did include some rather steeper gradients than previously experienced on ‘baby Pila’ however all demonstrated excellent control, speed and awareness to negotiate much longer, wider and busy areas. To finish the day everybody has enjoyed a nice relaxed pizza evening at a local pizzeria where there was an endless supply of varying pizza’s freshly baked, which went down well along with an ice-cream to round things off. Here’s to another epic day tomorrow…………..
Another successful day with even greater distances and gradients covered, with everybody’s endurance tested during both morning and afternoon sessions. Progress is still coming along nicely for all individuals with many attempting parallel work over the course of the day. Ice skating was on the agenda for this evening however due to tiredness the girls had a chilled evening socialising with each other back in the hotel and an early night ready to maximise our time on the slopes when hitting them for the final time tomorrow. Due to skiing all day tomorrow and a presentation in the evening we will be returning to the hotel and packing in preparation for leaving on Saturday so do not anticipate having time to email. Therefore we look forward to seeing you all on Saturday when we return. The girls will be very tired and may ache but in due course will have many stories to tell about their antics on the slopes. Enjoy the remaining few days whilst we savour the last day on the slopes. 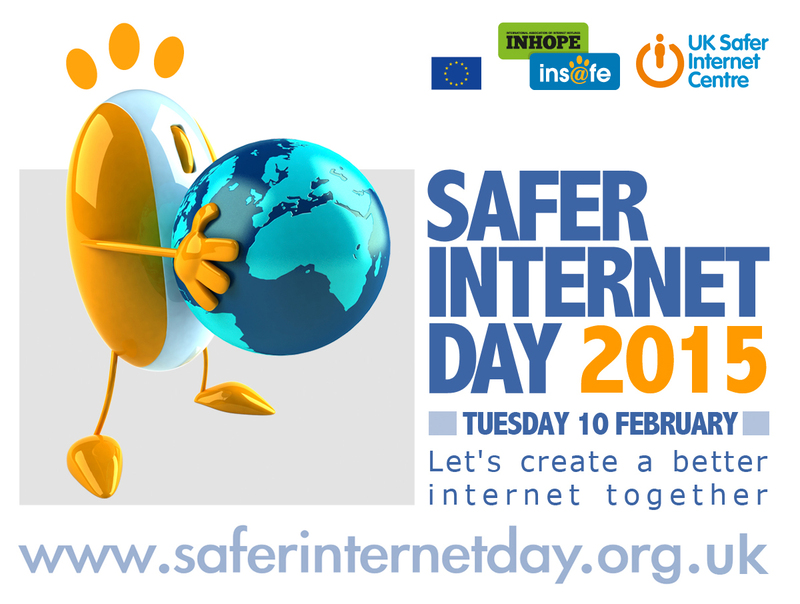 Pupils at Alfriston will be focusing on e-safety all week. Classroom activities range from “speed-friending” to writing their own code of conduct for emails. They will also be thinking about how to make the Internet better in a whole school assembly. Outside the classroom anybody can get involved by taking the SID quiz so why not have a go yourself? And look out for the Information Sheet coming home from school this week.